Would life have been different for Johnnie if she'd been named after a woman rather than her dead uncle? Or if her mama hadn't been quite so beautiful or flighty? The grandparents who raised her were loving, but they didn't understand the turmoil roiling within her. And they had so many, many secrets. Why did her mama leave? Would she ever return? How did her Uncle Johnny really die? Who was her father? Now Johnnie Kitchen is a 43-year-old woman with three beautiful children, two of them grown. She has a handsome, hardworking husband who adores her, and they live in the historic North Texas town of Portion in a charming bungalow. But she never finished college and her only creative outlet is a journal of letters addressed to both the living and the dead. Although she has conquered the bulimia that almost killed her, Johnnie can never let down her guard, lest the old demons return. Or perhaps they never went away to begin with. 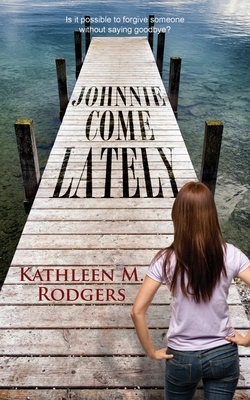 For Johnnie has secrets of her own, and her worst fear is that the life she's always wanted--the one where she gets to pursue her own dreams--will never begin. Not until her ghosts, both living and dead, reveal themselves.